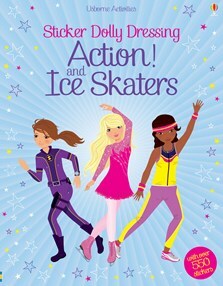 There are over 800 stickers in this bumper Sticker Dolly Dressing book, ready to dress the dolls as they spring into action and go ice skating. The high-octane outfits include uniforms for fire fighters and stunt artists, as well as bespangled lycra and matching accessories. A bumper activity book for young thrill-seekers.